A great, dazzling deck with distinctive style.Every detail is simply amazing! Lightning is a sudden electrostatic discharge that occurs during a thunderstorm. Lightning is also the weapon of Zeus in the Ancient Greek Mythology. It is the symbol of power. This deck can show this indestructible power so lightning is the main design element which makes the deck more individual and super cool. 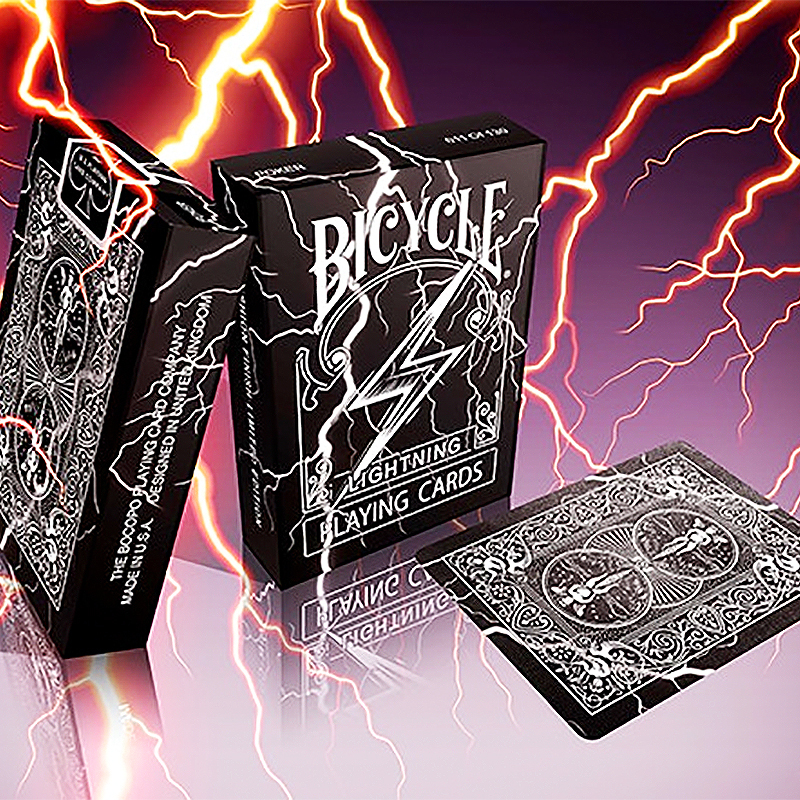 Classic Bicycle rider back is adopted as the general back of this deck.The breathtaking design Bicycle Lightning Playing Cards is mysterious and elegant as black color is the background color. White lightning pattern just do the dead match with the whole layout. Hearts and diamonds use the red color Spades and clubs use the black color which can offer the stunning visual appeal. Countless attention and hard work poured into the deck. Not only the unique design of courts and pip cards but the sparkling joker design. AIR-Cushion Finish and Bee casino stock can make the deck last longer time than regular ones. - Individualization design makes the deck fascinate. - AIR-Cushion Finish.Bee Casino stock. - Printed by The United States Playing Card Company. - LIMITED printing-ONLY 2500 decks AVAILABLE. • The cards are poker size.